The preparation of a Cultural Heritage Management Plan is required when a listed high impact activity is proposed in an area of cultural heritage sensitivity, as defined by the Aboriginal Heritage Regulations 2007. A simple way to check whether a Cultural Heritage Management Plan is required for a proposed activity is to use the Aboriginal heritage planning tool and follow the prompts. 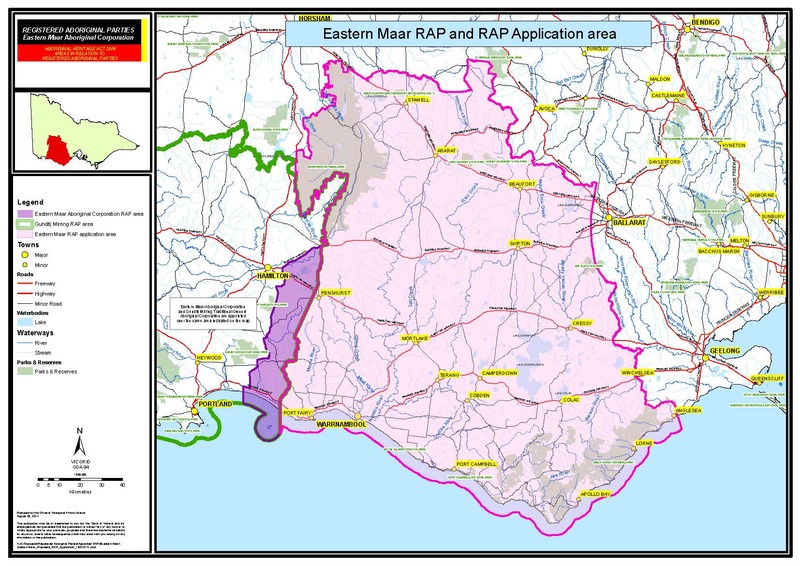 EMAC is both a Registered Aboriginal Party and and an applicant over it’s country under the Victorian Aboriginal Heritage Act 2006 . EMAC provides professional cultural heritage services to businesses and government, including organising and conducting cultural heritage surveys. Please fill out and send the following form to our Natural and Cultural Resources Manager, Craig Edwards, at craig.black.edwards@gmail.com to request EMAC’s involvement in a Cultural Heritage Management project: Cultural Heritage Booking Form. ‘Welcome to Country’ is an important ceremony undertaken by our people. Inviting us to welcome visitors to our traditional land helps non-Indigenous people recognise Aboriginal culture and history. Traditional Owners are the only appropriate people to carry out welcomes to country for events on Eastern Maar Country. To request EMAC’s services for a ‘Welcome to Country’, Traditional Smoking Ceremony, or Traditional Dance, please fill out and send the following form to our Community Engagement Officer, Alice Ugle at alice.ugle@easternmaar.com.au: Booking Form for EMAC services.